There are a lot of customers of Galaxy S4 who use their phone almost entire day and they have to always keep the charger close to them. The new Juice Pack from Mophie can help customers to save their battery level as long as possible and add some good hours between charging intervals. 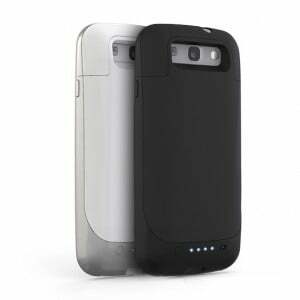 If you didn’t know anything till now about this accessory, we need to tell you that Mophie created it for the Galaxy S3 and HTC One and users are satisfied about it. The accessory will to the 2,600 mAh battery of your device another 2,300 mAh and will also offer protection for your device. The manufacturing company made some tests and they are announcing that the battery will have a total boost of 80% which is an impressive result. So, this thing adds 13 hours of talk time, 6 hours spend on the internet, 35 hours for music and 7 hours for video. The accessory can be charged with the same cable used for charging the battery and this is a big advantage for those who decide to use it. You will have a four LED indicator for the battery level of the backup battery and the access to speakers, controls and ports will not be difficult to reach. The price of the accessory, which is a “must have”, is about $100. The accessory will be manufactured both black and white and it will worth every cent paid as you will never need to carry chargers and any accessories at work or any place you go in a normal day.